Noty, tabulatura a akordy na ukulele. Released on 23rd September 2016, Nashville Sessions is the first album of original songs by Ukulele virtuoso Jake Shimabukuro. The album was recorded in a Nashville studio and features two top session players, bassist Nolan Verner and drummer Evan Hutchings. 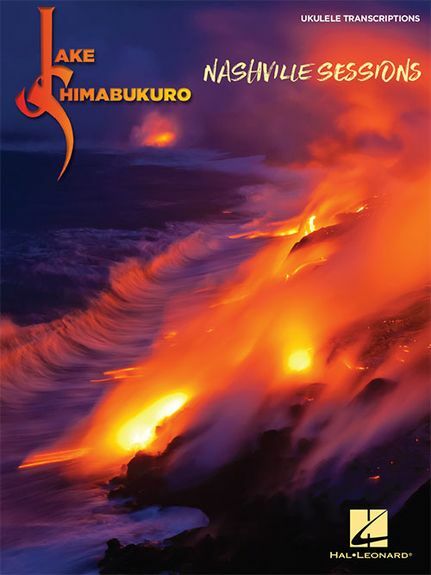 The featured tunes showcase some of Shimabukuro's most lyrical and melodic playing to date, along with his trademark blend of passion and playfulness. Freewheeling studio jams evolved into beautifully realized compositions, such as “Ballad” and “Galloping Seahorses.” The result is one of the boldest and most unique Ukulele records ever made – a new benchmark for the instrument. This matching folio to Jake Shimabukuro's Nashville Sessions includes note-for-note transcriptions of all 11 tracks from the album.